Andrew Renzi's Franny is an notable film for a few reasons, not least because it announces the arrival of a major new voice in Renzi. Renzi directed Fishtail, an hourlong documentary that premiered in competition at Tribeca last year (it will be on Netflix Instant this summer), and has also produced some acclaimed features, most notably Antonio Campos' Afterschool. 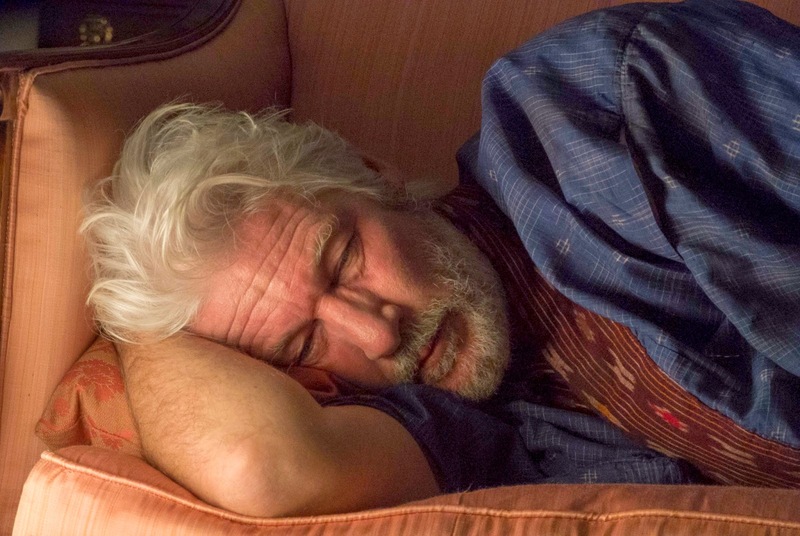 Additionally, Franny is notable because it features one of Richard Gere's finest performances. In Franny, Gere plays the titular character, a drug-addicted philanthropist who inserts himself in the lives of young newlyweds (Theo James and Dakota Fanning). Gere is electric in Franny. Rarely has he ever been this eccentric, this crazy, this unhinged. Hints of this side of Gere came out in his brilliant performance in Oren Moverman's Time Out of Mind, but nothing could have prepared audiences for this. The unpredictability of Gere's multidimensional performance is part of the fun of watching it - at one moment he's in the throes of withdrawal, the next, he's singing in front of a crowd. It is much to Renzi's credit that he lets Gere take this material and run with it. In all other respects, though, Renzi has control over the film, causing Franny to feel like the work of a far more experienced filmmaker. Renzi has the audacity of a filmmaker well beyond his years, but also directs with the energy of a young filmmaker. Many scenes in Franny (the car crash and finger scenes in particular) are bursting with energy. They're unflinching and place the audience in the middle of the action, making Franny an immersive, visceral filmgoing experience. Tonally, Franny is all over the place, which frequently works to its benefit (and occasionally to its detriment as well). The frequent tonal shifts keep the narrative intriguing and the audience on their feet. Joe Anderson's sumptuous cinematography revels in the richness of 35mm film and gives the film a haunting feel. Additional credit must go to Theo James who holds his own against Gere in a powerful performance. Dakota Fanning's performance is solid, but her character is underdeveloped. Overall, Franny is an entertaining and unusual piece of work that played extremely well on this past Friday evening at its world premiere at the Tribeca Film Festival. For fans of Gere, this is a must-see, and for people looking to "find" a director before they're big, this is also a must-see. Renzi should have a very successful career ahead of him.